Shares in the Chinese internet company closed up nearly 4 percent Friday afternoon at $21.46 apiece. Internet company Sohu.com Ltd. (Nasdaq: SOHU) saw its shares end Friday up nearly 4 percent following a drop in early trading after the online company reported worse-than-expected earnings for the fourth quarter, but beat estimates on revenue. Sohu, which includes online media, video, search, and gaming businesses, said in a statement today that its revenue during the three months through December reached $482 million, down 5 percent from the same period a year earlier. Net income was $15 million, or 37 cents per share, in contrast to a loss of $295 million at the end of 2017. Revenue in 2018 reached $1.9 billion, 1 percent higher than in 2017. Loss for the full year came to $161 million, or $4.13 per share, compared with a net loss of $556 million in 2017, Sohu reported. The results sent Sohu's shares down 5 percent Friday morning to $19.65 apiece, but they later recovered, closing at $21.46 per share, up 76 cents, at the end of the day. "During 2018, as we faced a challenging macroeconomic environment, we focused our resources on key mobile products and worked hard to improve operating efficiencies," Sohu's chairman and chief executive, Charles Zhang, said in a statement today. The company said operating expenses in the fourth quarter were $254 million, down 8 percent from the year before. 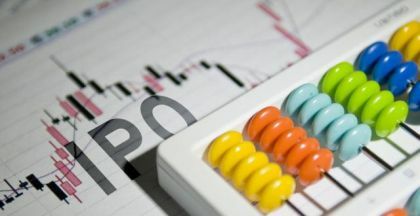 Zhang also commented on the financial performance of two of its U.S.-listed subsidiaries, search engine Sogou Inc. (NYSE: SOGO) and game developer Changyou.com Ltd. (Nasdaq: CYOU). "Sogou's mobile search and mobile keyboard continued to gain user traction while its leading AI capabilities have been not only recognized in international contests, but also applied to new commercial use cases. Lastly, Changyou delivered in-line financial results supported by solid performance of TLBB PC and mobile games. For 2019, Changyou will strengthen its R&D capabilities to launch more hit games." The shares of both subsidiaries were trading down midday as each missed on analysts' estimates for the quarter. 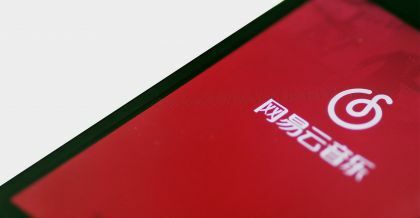 Changyou said its revenue of $118 million was in line with its guidance, despite a decrease of 18 percent from a year ago. Net income was $10 million compared with $34 million a year ago. Sogou reported revenue of $297.8 million, up 7 percent year-over-year, and income of $26.4 million, up 71 percent. 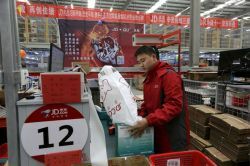 Looking ahead, Sohu said it expects revenue in the range of $390 million to $415 million in the first quarter of this year.